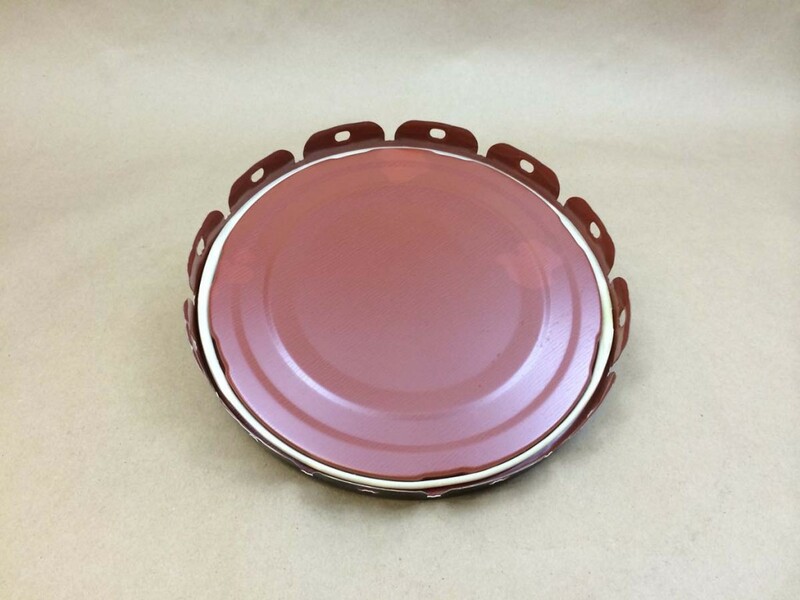 Red phenolic linings are commonly used in the transportation and storage of agricultural chemicals, flavors, frangrances, acids and organic solvents. 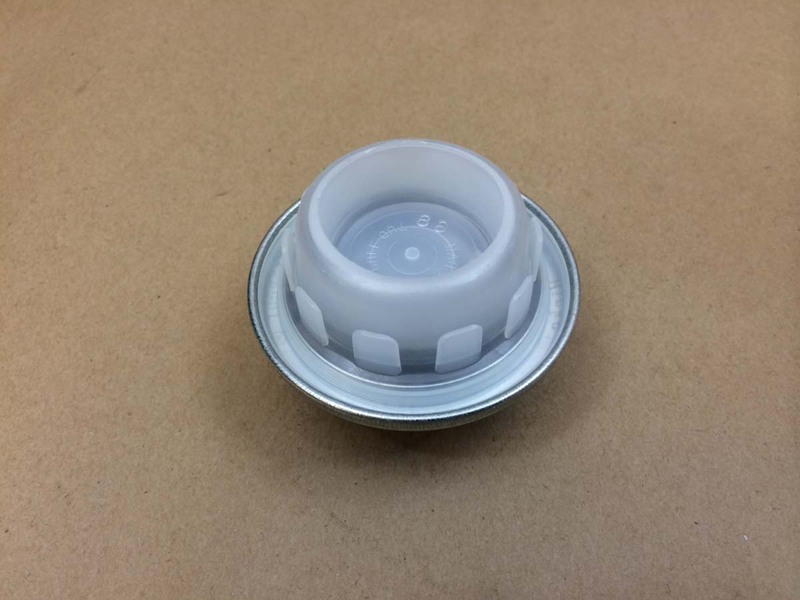 We advise that you let us send a sample to test for product compatibility between your product and the container. 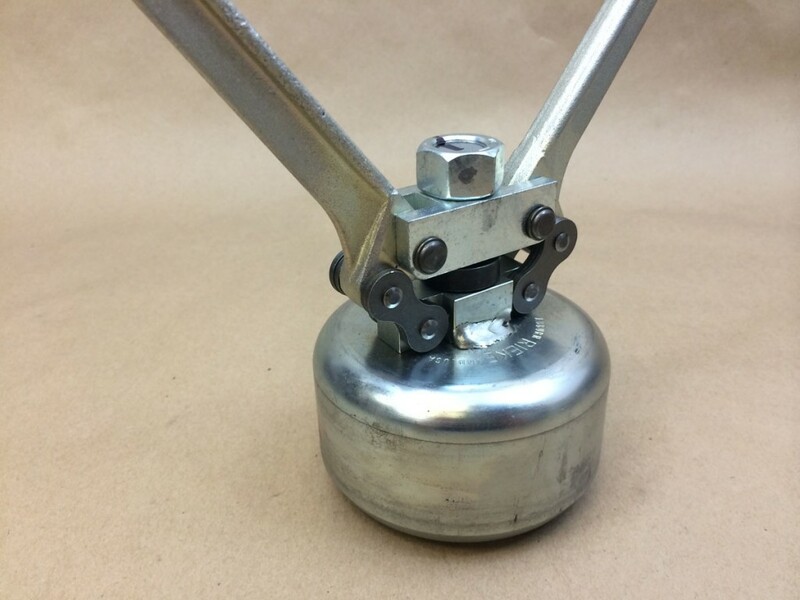 A word on steel pail linings may be found on this page. 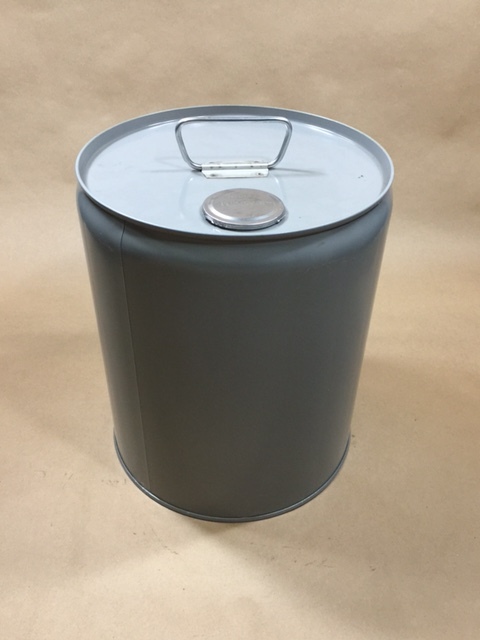 Our 2 gallon steel pail has a cover that is sold separately. 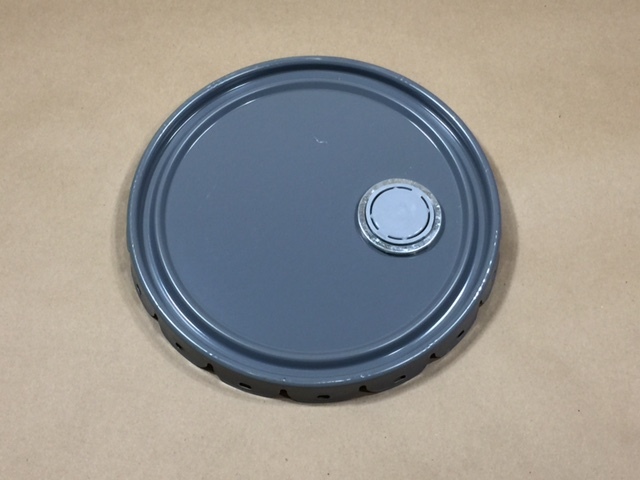 Our 2 gallon black open head steel pail has a red phenolic lining. It has a UN rating of UN1A2/Y1.6/60 To keep this UN rating valid, the only cover that can be used is item # USC4-02-01LC. 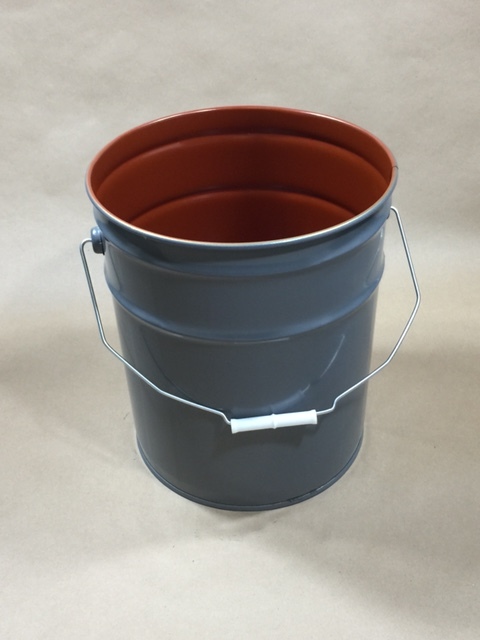 Our 5 gallon steel pail may be purchased with a spouted cover sold separately. 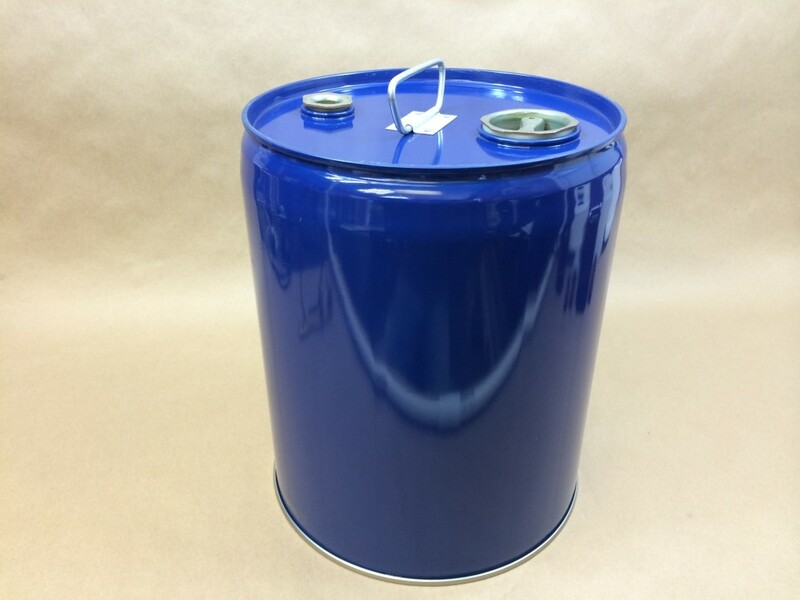 Our 5 gallon blue steel pail has one 2″ and one 3/4″ Rieke Visegrip II steel plug with irradiated PE gaskets. 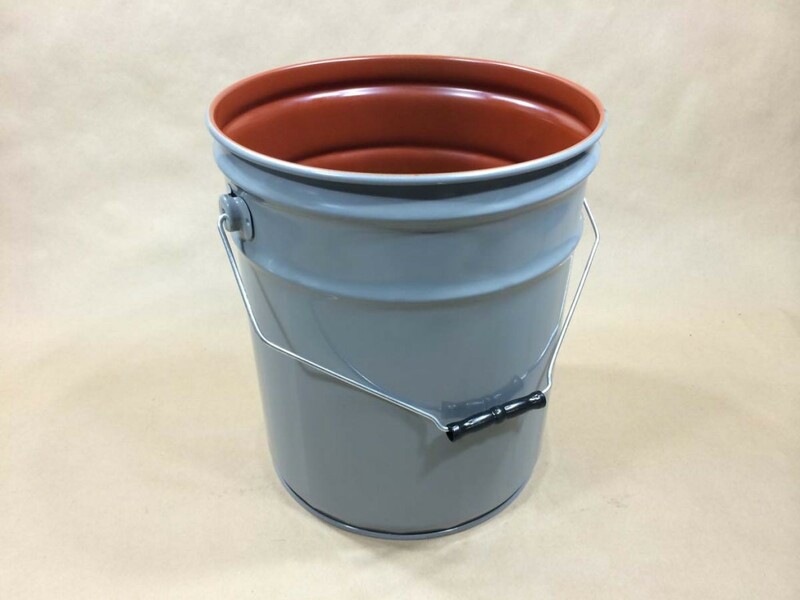 Our 3.5 and 5 gallon steel pails have a Rieke Opening – Rieke Spouts and a crimping tool (if needed) are sold separately. This has been an article on steel pail linings.